This mod replaces an "IMAGINATOR - MCM Menu" Script, It features Settings Saving/Loading through FISS, a SKSE plugin. 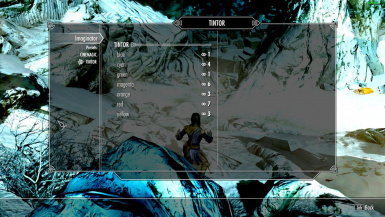 Settings file is saved at "Skyrim\Data\SKSE\Plugins\FISS\imaginator.xml". If you delete this file the MCM Menu of Imaginator will be unavailable! re-enable IMAGINATOR and try again, that should fix the issue. Credits to the Author of these mods.